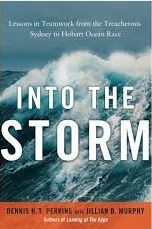 Author Dennis Perkins shares insights from his book “Into the Storm” on how Project Managers can sustain team success through the storms of adversity, uncertainty, and change. Known as the “Everest of ocean racing,” the Sydney to Hobart Race is a test of skill and endurance under the best of conditions. Competing in the 1998 race – one of the most dangerous offshore ocean races in history – the Midnight Rambler‘s team of one determined skipper and six dedicated amateur sailors did more than survive the deadly storm. The team went on to become the overall winner of the race – the smallest boat in 10 years to win the prestigious cup. How did they do it? What enabled the Midnight Rambler team to prevail against all odds? 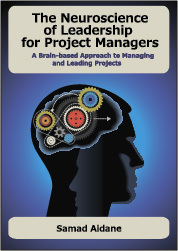 And what can your project team learn from their experience? Recounting a heart-stopping tale of incredible teamwork, Dennis Perkins shares the story of the Ramblers and the power of teamwork to prevail over uncertainty, adversity, and formidable competition. In this interview, Dennis shares insights from his book Into the Storm and reveals 10 critical strategies for Teamwork at The Edge – as applicable in projects as on the high seas. 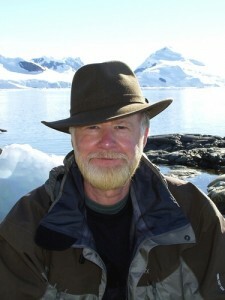 Dennis Perkins is the author of Into the Storm: Lessons in Teamwork from the Treacherous Sydney to Hobart Ocean Race and Leading at The Edge. He is the CEO of Syncretics Group, a consulting firm dedicated to helping leaders and teams thrive under conditions of adversity, uncertainty, and change. A graduate of the United States Naval Academy at Annapolis, he successfully completed his first Sydney to Hobart Race in 2006. What was the background for writing “Into the Storm”? You specialize in developing leadership in organizations, under conditions of rapid change, economic adversity, sudden growth, and other demanding environments. And you refer to this as leadership and team work at the edge. What attracts you to working with teams at the edge? It was interesting to learn how similar boat racing was to teamwork at the edge. Can you talk about these similarities and how the metaphor of ocean racing can help team leaders facing today’s tough challenges? How did you do research for this book? 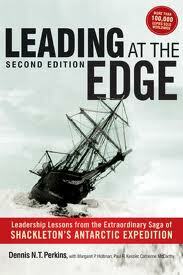 On page 245, you talk about the irrational quest for charismatic leadership places a premium on fame and personality and you say that Charisma and force of personality are hardly the most important characteristics of a skipper or a leader in organizations. I think this is so true. Can you share a little bit more about this idea?